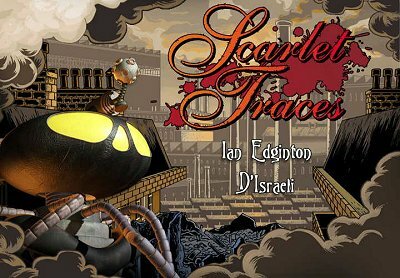 Enfin disponible en français, Scarlet Traces est un passionnant récit mêlant habilement thriller et science-fiction et mené de main de maître par Ian Edginton et D'Israeli. 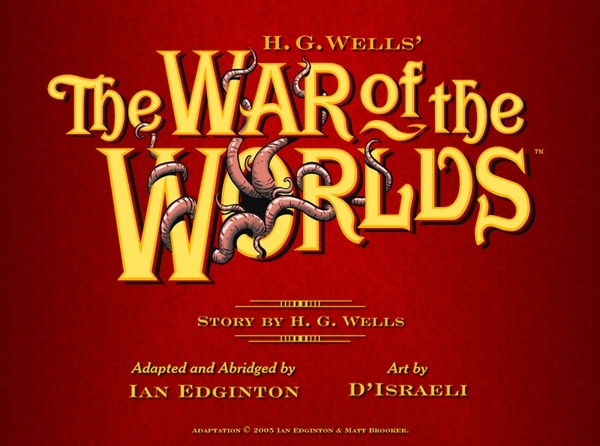 Grâce à HG Wells, nous savons que les martiens ont jadis tenté d'envahir notre monde. Malheureusement pour eux, ils ne purent resister aux germes terrestres qui eurent raison d'eux alors que nos armes étaient impuissantes. Mais que devint tout le matériel abandonné derrière eux par les martiens ? Dix ans après la guerre, la Grande-Bretagne a réussi à maîtriser cette technologie et l'a incorporée à la vie quotidienne de tout un chacun, assurant ainsi son statut de première puissance mondiale. Mais derrière ce monde idyllique se dissimule un lourd secret, un secret qui pourrait ébranler l'Empire s'il venait à être révélé. 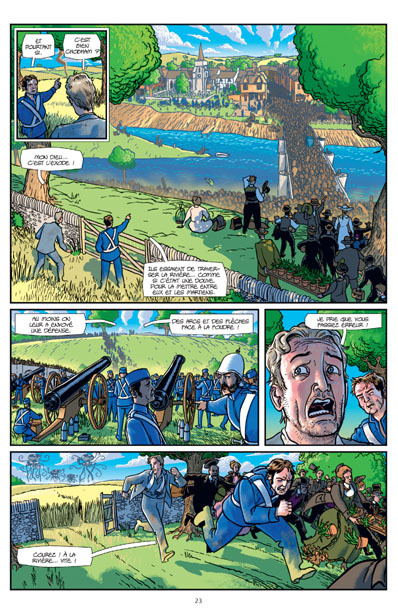 Le colonel Robert Autumn et son ami le sergent Currie se trouvent malgré eux embarqués sur la piste de ce mystère, mais l'adversaire auquel ils ont affaire ne reculera devant rien pour atteindre son but malsain ! 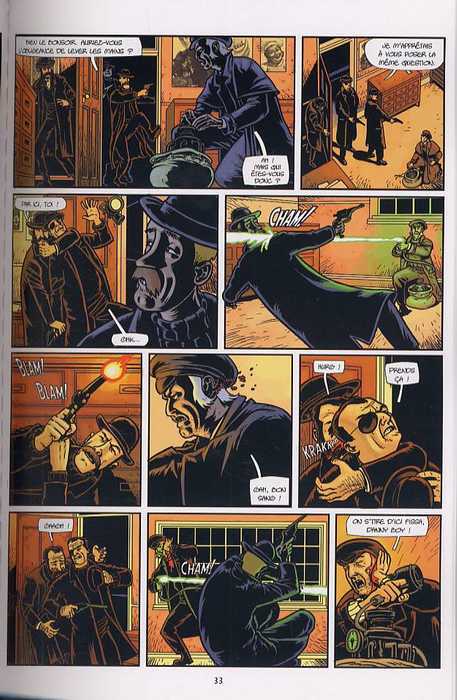 Ian's also got work with D'Israeli on "Scarlet Traces: The Great Game." 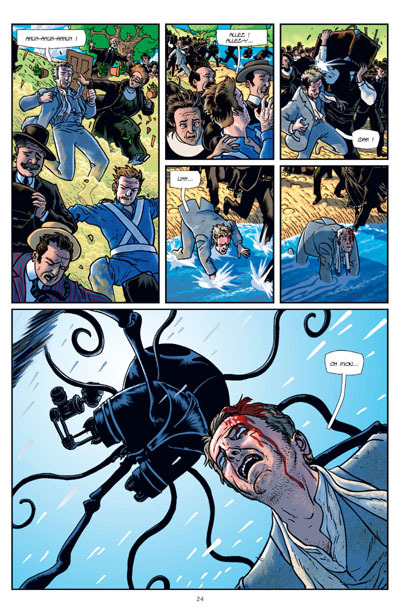 This fantastical new miniseries picks up where the critically acclaimed hardcover left off. 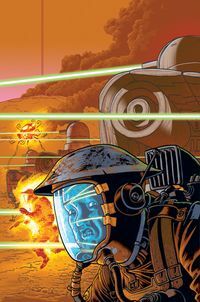 After almost four decades of conflict, the British invasion of Mars has ground into a bloody stalemate in the dust of the red planet. Launched to fanfares and cheers, the times and mood have changed, as the British Government under the iron hand of Prime Minister Spry struggles to wage a war another world away while keeping its grip on an increasingly troubled and turbulent empire. Riven with revolt and revolution, the glory that was Great Britain is unravelling at the seams with freedom and free speech brutally sacrificed to maintain order. However, this is nothing compared to what is happening on Mars, and the worst is yet to come! 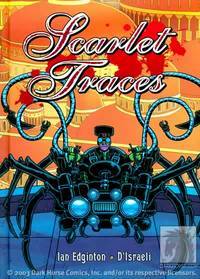 • Sequel to the best comic book of all time, Scarlet Traces. • From the creators of the fan-favorite Kingdom of the Wicked! 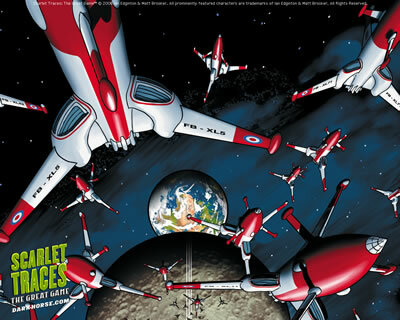 It is five decades after the Martians' failed attempt to invade Earth. Britain has become the world's undisputed leader of military technology, but the nation is cracking at the seams, and liberties are being revoked to maintain order. Now a face from the past steps forward to help save the future! 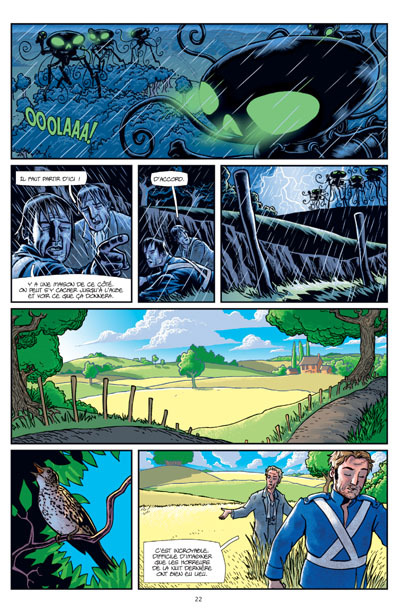 The mysterious figure who saved the life of photojournalist Charlotte Hemming was none other than Robert Autumn. 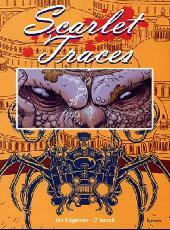 The aged gentleman adventurer-and hero of the previous graphic novel, Scarlet Traces-reveals that dastardly deeds are being done on Mars! Someone must go there and bring back the proof they need, and Hemming is the prime candidate. First she must travel incognito from the Earth to the Moon ... but even there, all is not what it seems.  Gifted photographer Charlotte Hemming has crash-landed on Mars . . . in the middle of a war! On a covert mission to discover the British government's activities on the red planet, Hemming, A.K.A. "Catherine Prosper" of Ministry Intelligence, escaped the attack on her transport shuttle only by the ejection of her life pod. What is it about this battle that has consumed the lives of so many soldiers, and what does Prime Minister Spry have up his nasty little sleeve? 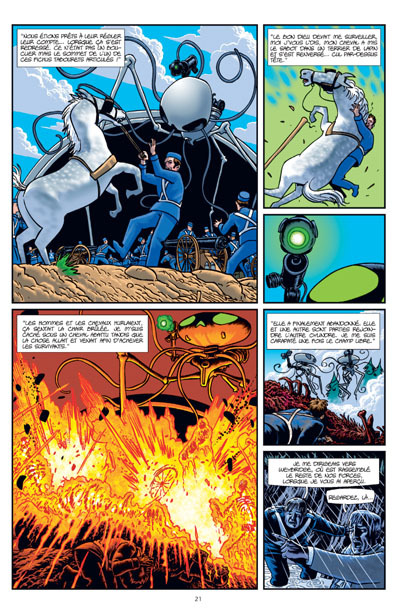 As the last great battle in the War of the Worlds rages around her, and the Martians close in, she stumbles across the secret history of the planet . . . and an even greater revelation that could spell the extinction of all human life on Earth! With the British forces poised to deliver a death blow to their Martian foe, the implacable aliens reveal they've been playing a long game all their own and now the Earth itself is forfeit. For photographer Charlotte Hemming, she's no longer recording history but becoming part of it, as she joins in a last, desperate stand on the Moon!